(1) The Property Manager manages the Singapore Properties, namely Wisma Atria Property and Ngee Ann City Property. The overseas properties are mainly managed by external property managers. (2) The Singapore Properties are held by Starhill Global REIT. The overseas properties are held through its subsidiaries or special purpose vehicles (SPVs). 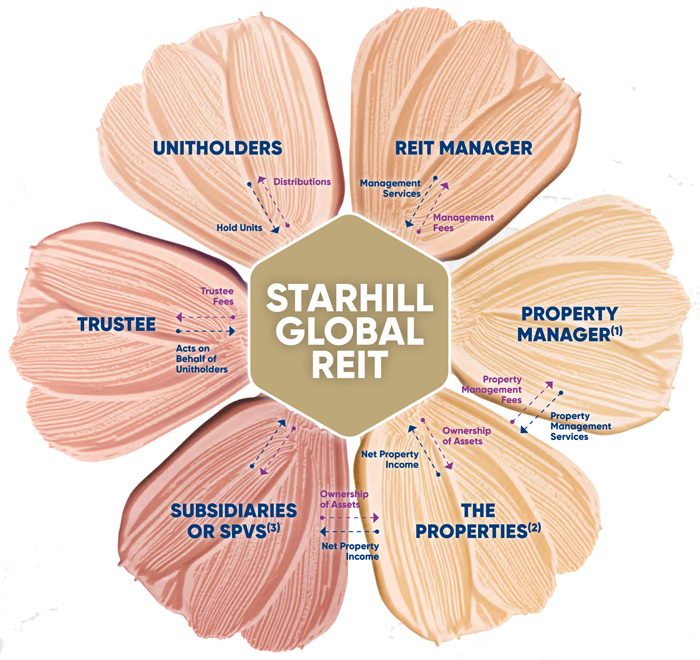 (3) The net income from overseas properties are largely repatriated to Starhill Global REIT via a combination of trust distributions, dividends, interest, as well as repayment of shareholders' loans and/or redemption of redeemable preference shares.